Spirit 52’ Flight of Ufford was designed in 2005 by Spirit CEO and head designer Sean McMillan for himself and his wife Jenny. 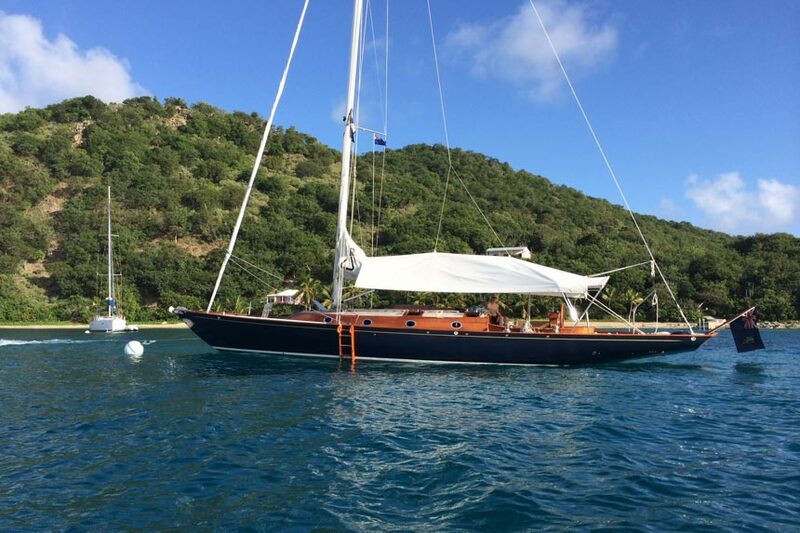 Two years later she was built and ready for eight successive years of competitive racing, leisure sailing and exhibitions as the Spirit Yachts’ company demonstrator yacht. Designed as a performance cruiser, Flight (as she is often known) is closely based on the Spirit 54’, which featured in the James Bond film Casino Royale. Handcrafted using wood/epoxy construction, Flight enjoys an impressive power to weight ratio and with a displacement of only eight tonnes she is an extremely light performance cruising yacht. A keen racing skipper, Sean works closely with John Parker of OneSails to continually tweak and improve the sail wardrobe, which now comprises a full carbon racing main and jibs as well as five symmetric and asymmetric spinnakers. 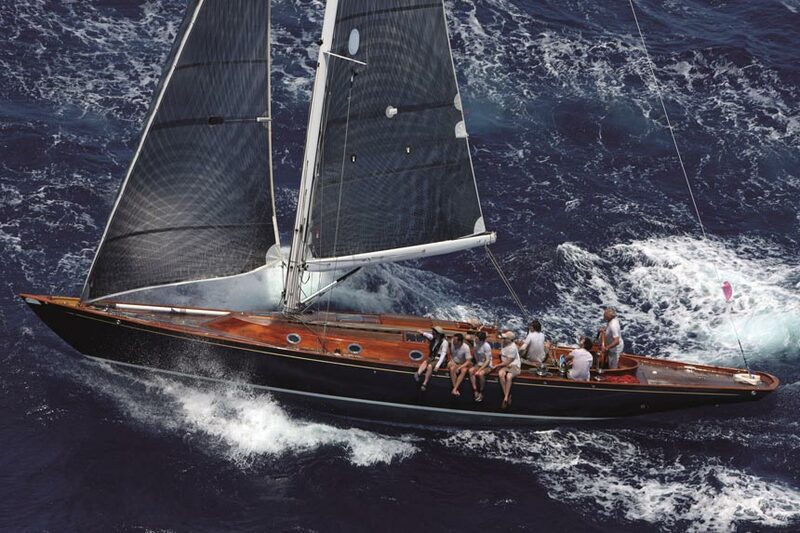 At last year’s Panerai Classic Week in Cowes, Flight stormed into second place overall in the Spirit of Tradition class (beaten only by Spirit 54’ Soufriere), where she was crewed by Spirit Yachts team members from the yard in Suffolk. 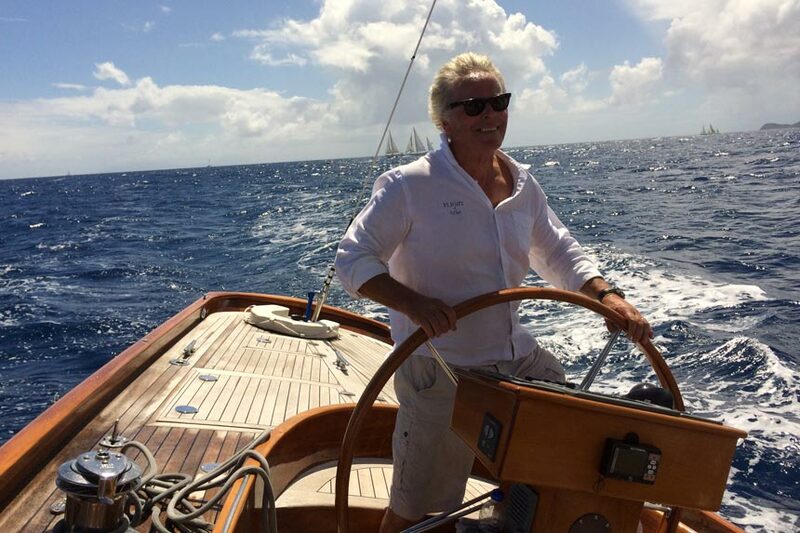 Adding to Flight’s already impressive trophy cabinet, Sean also went on to win the Single-Handed Race for the Carib Bean Coffee Cup at the Antigua Classics regatta. Down below, the spacious saloon and efficient use of storage in the galley offer ample opportunity for entertaining and the mahogany panelling throughout provides the warmth and elegance of a classic Spirit interior. Flight comprises a twin cabin forward and double owner’s cabin aft, both with private en-suite facilities, however clients can specify alternative layouts. The team in the Spirit yard are now finalising minor re-varnishing work in the companionway, changing the engine box to improve service access, replacing all the rubber seals in the hatches and generally tidying up any wear and tear before her re-launch at the end of May. To book a test sail on Flight of Ufford or to find out more about any Spirit yacht, please email [email protected] or phone +44 (0) 1473 214715.